The new China-based Center is part of Michelman’s aggressive growth plan in the Asia Pacific region, and follows the opening of the Michelman Innovation Centre for Coatings (MICC) that was opened in Mumbai in January 2018. The MSC will foster both sustainable solutions and collaboration. It incorporates dedicated space, technical expertise, and technology and promotes collaborative innovation between partners, customers, service providers, and suppliers of multiple industries’ value chains. 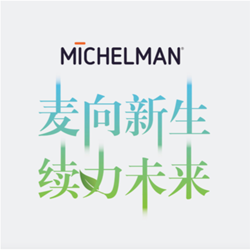 Michelman will celebrate the grand opening of the Michelman (China) Sustainability Center (MSC) on January 17, 2019 at the company’s Shanghai offices located in the East Park of the Shanghai Pudong Kangqiao Industrial Zone. 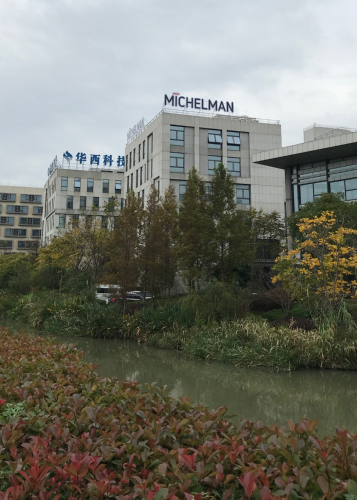 The new China-based Center is part of Michelman’s aggressive growth plan in the Asia Pacific region, and follows the opening of the Michelman Innovation Centre for Coatings (MICC) that was opened in Mumbai in January 2018. Motivated by unwavering values, and ingrained with a passion for innovation, Michelman is a global developer and manufacturer of specialized sustainable chemistry used in industrial and agricultural coatings, digital printing, consumer packaging, and advanced composites for automotive and aerospace. They have production facilities in North America, Europe, and Asia, product development and technical service centers in several major global markets, and a worldwide team of highly trained business development personnel. From helping grow food and keep it fresh, to making vehicles lighter and more fuel efficient, to shielding our homes from the elements, Michelman‘s environmentally conscious solutions protect and enhance the materials that shape our world.